Pacific Nurses in New Zealand (NZ) represent 4% (estimate 1,940) of the total NZ Nursing workforce. Nurses are well placed in healthcare settings to deliver brief intervention to clients and increase the number of people quitting smoking. consultation with Pacific Heath sector, to encourage Pacific nurses to engage in activities that will reduce smoking prevalence among the Pacific population. Smokefree Nurses' Pacific Strategy draft was presented at the 15th South Pacific Nurses Forum in Auckland New Zealand, 2010. 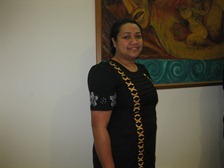 The Pacific Nurses Strategy vision for Pacific Health is for Pacific peoples living healthy and Smokefree. Furthermore, the vision for Pacific nurses is All Pacific nurses to enable equitable health outcomes for colleagues and Pacific peoples by reducing smoking in the Pacific population. education is included in curriculum. The Pacific Strategy flowchart can be found here.